Provide comfort for the family of Jim Sills with a meaningful gesture of sympathy. 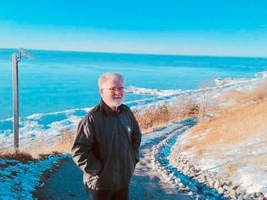 Surrounded by the love of his family, with the singing of Amazing Grace filling the air, James Francis Sills, passed away at London Health Sciences Centre, Victoria Campus, London on January 27, 2019. In his 73 years among us, Jim lived life with love for his family, devotion to faith and service to our community. Jim was a valued source of service and wisdom on Seaforth’s Main Street as the 4th generation owner of Sill’s Hardware. His wit and friendly demeanor gifted all of us with a reason to smile. In death, his gifts as an organ donor changed the lives of others in ways beyond the description of words. 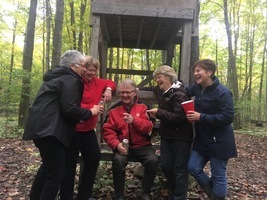 Jim will be lovingly remembered by his wife of 47 years Anne (née Achilles) and their children Tracey and Jeff McKee, Edward (Ted) Sills, Donald (Don) and Lindsay Sills, and Timothy (Tim) and Jennifer Sills. Also fondly remembered by Tara Sills. 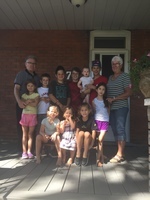 Memories of a very special grandpa will be cherished by grandchildren Mitchell, Taylar, Isaiah, Mathew, Jacob, Matteo, Dinah, Ella, Leah, Lydia, Elena, Margaret, and Ada . Fond memories of a much loved brother remain with siblings and siblings-in-law Anne and John Mason, Mary and Gerald Townsend, Jane and Leonard Muegge, Margaret and Phil Beard, Joan and Neil Johnston along with many nieces, nephews and friends.In faith, we trust Jim’s spirit is now reunited in eternal life with his parents Frank and Dinah Sills, parents-in-law Rolly and Tennie Achilles and siblings-in-law Margaret Taylor and Don and Jerry Achilles. 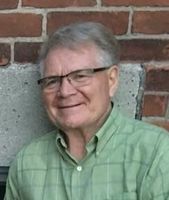 Visitation will take place at McGlynn Family Funeral Home (519-527-1390), 87 Goderich Street West, Seaforth on Tuesday, January 29, from 7-9 p.m. and Wednesday, January 30 from 2-4 and 7-9 p.m. Visitation will continue on Thursday, January 31 from 10-10:45 a.m. at St. James Catholic Church, 22 Victoria Street, Seaforth, followed by a time to honour Jim’s life and find comfort in our faith in a Mass of Christian Burial, commencing at 11 a.m. with Father Clare Coleman presiding. Fellowship and refreshments will follow at a reception at Seaforth Legion, Branch 156, 123 Main Street South, Seaforth. Burial will take place at St. James Catholic Cemetery in the spring. Friends and family are invited to gather in the upper and lower halls of the legion. Consider providing a gift of comfort for the family of Jim Sills by sending flowers. We encourage you to share your most beloved memories of Jim here, so that the family and other loved ones can always see it. You can upload cherished photographs, or share your favorite stories, and can even comment on those shared by others. June and Stan Johns and Steven & Kay on Front Road are never too late to send you all, and Tracey and Anne, our sadness and support. Your dad was so proud to explain all the pictures above the door at the store once. Your son, Tracey, talked to me in the store the other morning.